I have been spending what is probably far more time than is healthy drooling over this site for the last few weeks. 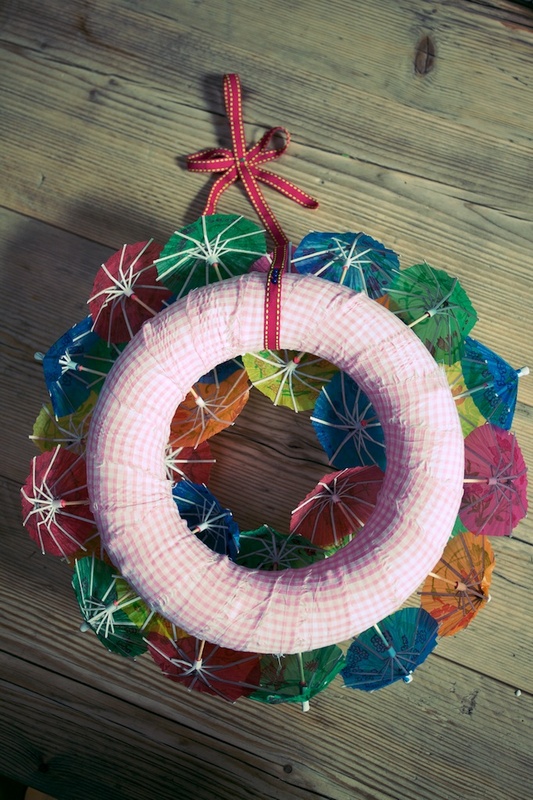 It was my friend Carolyn’s birthday last weekend and I had seen on her account that she liked these cocktail umbrella wreaths. Thinking I was the queen of genius, I proceeded to make said cocktail umbrella wreath as a gift for her. I rocked up to her party brandishing an enormous box with the wreath in it and gave it to her. Only then did I discover that she had already blummin’ made one to decorate her house for the party! BAH! My wreath giving high promptly crashed down in flames. Should I have asked if she had made herself one already? Is this new Pinterest etiquette that I am not aware of? 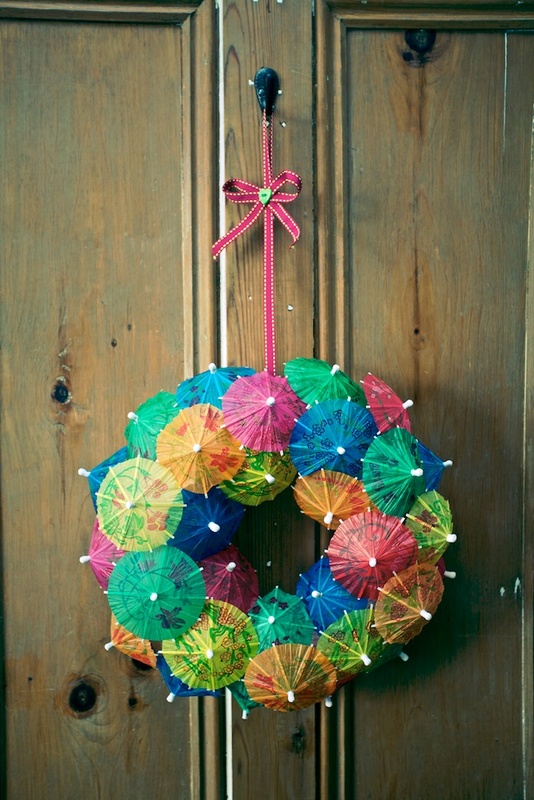 Surely this situation begs the question (*Carrie Bradshaw voice*) – How many cocktail umbrella wreaths is enough? I am hoping the answer to that is “At least two”! The correct answer is… At least two! 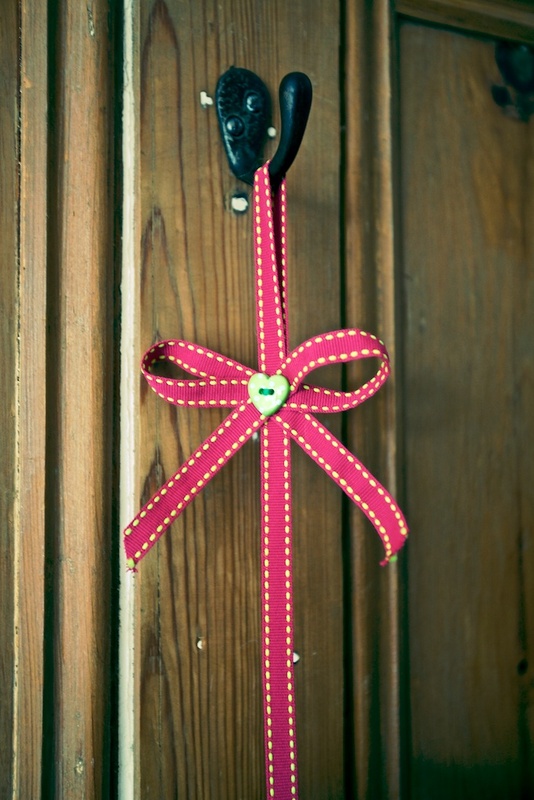 No-one can enough perky fun such as this in their house! What a fantastic tutorial!!! You made this yourself?!?! Have to make this for a photo booth we are setting up but we can’t find the main thing-the ring to put the umbrellas into! It’s driving me nuts! a google search for “polystyrene ring” should do it. mine was just from my local craft store.